Bounce back quickly from emergencies. Getting your property back on its feet after a crisis has never been easier than with faciliSmart™. Our trusted restoration and remediation partners establish pre-loss pricing up front, eliminating the need for negotiations when time is critical. Restoration is guaranteed to begin immediately after an event occurs. faciliSmart™ provides you with a dedicated customer service and support team, accessible 24/7, ensuring your property can be up and running again as quickly and easily as possible. Insurance claims are streamlined as well, thanks to extensive photo and video-supported documentation, all of which are available for review ahead of time by insurance adjusters. Our secure, off-site database servers ensure your critical information is kept safe, no matter what type of incident occurs at your property. Waterproof, fireproof and hacker-proof, we use multiple levels of both virtual and physical security systems to protect your data from any kind of damage, loss, theft or attack. 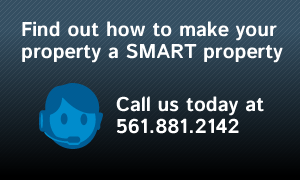 Find out how to make your property a SMART property!